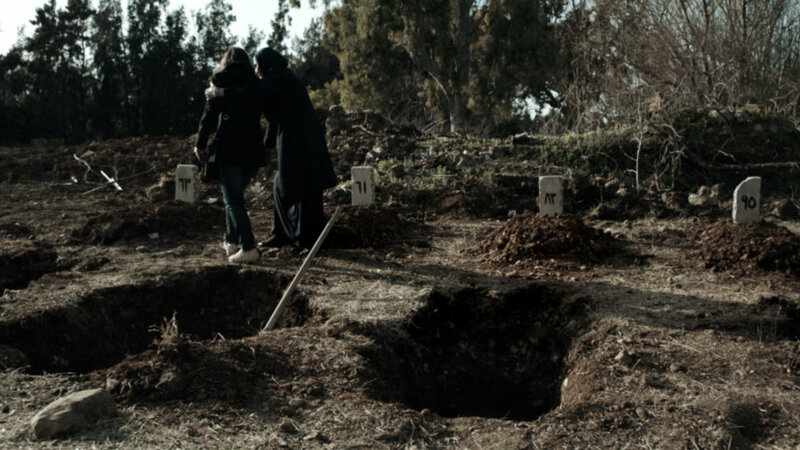 Documentarian and journalist Soudade Kaadan turns her hand to a fictionalised recreation of life in Syria in the early years of the civil war. She focuses on a young, apparently single mother who desperately needs to find a gas canister so she can cook for her eight year old son. This search takes her outside of Damascus with a pair of siblings and into a place where both government and rebel soldiers threaten their lives. The film works best when we see mother and son together at the start. They seem to have a genuine connection and there's a charismatic energy to their interactions. Doing the laundry before the electricity cuts out becomes both a joyful and frustrating game. And it's notable that - without spoiling the plot - the film only truly comes alive when the two interact - and this is sadly not the case for large parts of the film. The intervening scenes see the mother take up with a brother and sister whose characters are lightly sketched and seem somehow less real than mother and son. The interactions with the soldiers are indeed scary but I keep thinking of recent documentaries about Syria - particularly UNDER THE WIRE - and how much more visceral they felt. I have read interviews where the director says she refused to depict the more recent events of the Syrian war because she had already left. I understand that reticence. The problem is that for the audience, we have seen those more contemporary reports on the news, and so the situation in THE DAY I LOST MY SHADOW - no matter how awful - seems tame by comparison. I also found the use of magic realism - in the shadows of the title - poorly executed and somehow trivialising of the trauma being depicted. The concept just didn't work for me, and this was a fatal blow. THE DAY I LOST MY SHADOW has a running time of 94 minutes. it played Venice 2018 where it won the Luigi de Laurentiis award and is nominated for the Sutherland Award for First Feature at this year's BFI London Film Festival. It also played Toronto and Busan. There are still tickets available for all three screenings.